We continue the recent work of Avram et al. (Ann. Appl. Probab. 17:156–180, 2007) and Loeffen (Ann. Appl. Probab., 2007) by showing that whenever the Lévy measure of a spectrally negative Lévy process has a density which is log-convex then the solution of the associated actuarial control problem of de Finetti is solved by a barrier strategy. Moreover, the level of the barrier can be identified in terms of the scale function of the underlying Lévy process. 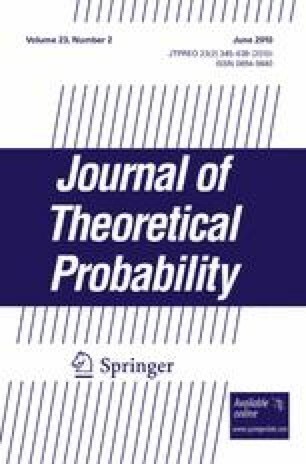 Our method appeals directly to very recent developments in the theory of potential analysis of subordinators and their application to convexity and smoothness properties of the relevant scale functions. The authors gratefully acknowledge funding from EPSRC grant numbers EP/E047025/1 and EP/C500229/1 and Royal Society grant number RE-MA1004. We are also grateful to Ronnie Loeffen for his comments on earlier drafts of this paper, in particular with regard to the computations around (4.4). Thanks are also due to an associate editor and an anonymous referee for their valuable comments on an earlier version of this manuscript.